Just days ago a new video emerged, two years after the fatal shooting of Michael Brown, as part of a documentary called Stranger Fruit. It has lead to renewed protests and vigorous debate in the USA. 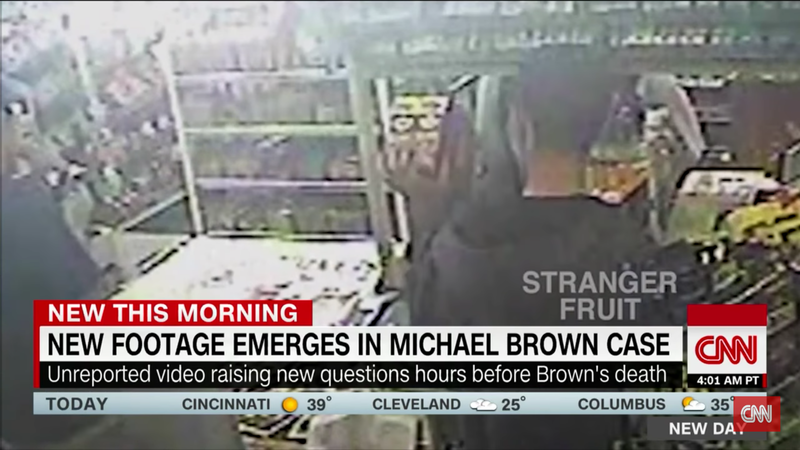 Two years ago it was alleged that Michael Brown commited an unarmed robbery at a convenience store in Ferguson, St.Louis County, Missouri. When Michael Brown was picked up by police he allegedly tried to take the gun from police officer Darren Wilson who then shot Brown once who then made off. As Wilson gave chase it’s alleged that Brown turned towards Wilson and charged at him causing Wilson to fear for his life and he opened fire multiple times. Brown dies at the scene. The video that was released by police at the time and the only video in relation to the convenience store that was released to the grand jury in the subsequent trial of Darren Wilson was the one depicting the unarmed robbery. 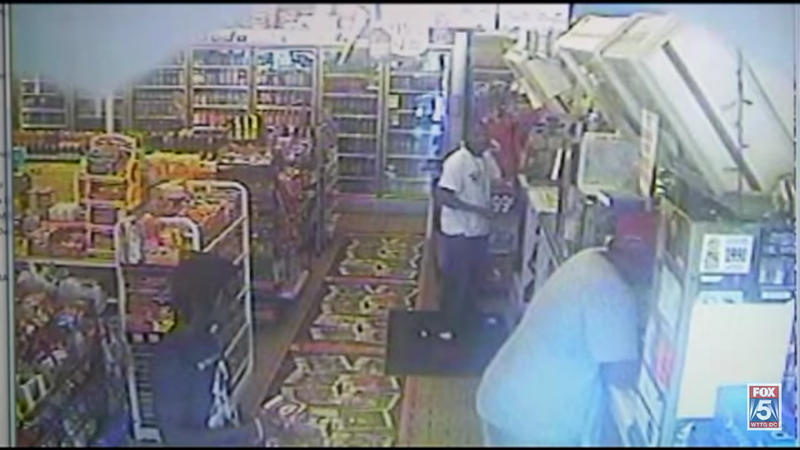 In the video it shows Brown entering the store who appears to reach over the store counter and remove at least two packets of cigarillos (small cigars or Hamlets to our UK readers). As he begins to walk out of the store he is confronted by a shop keeper but Brown pushes the shop keeper away and walks towards him again. The shop keeper backs off and Brown exits the store. 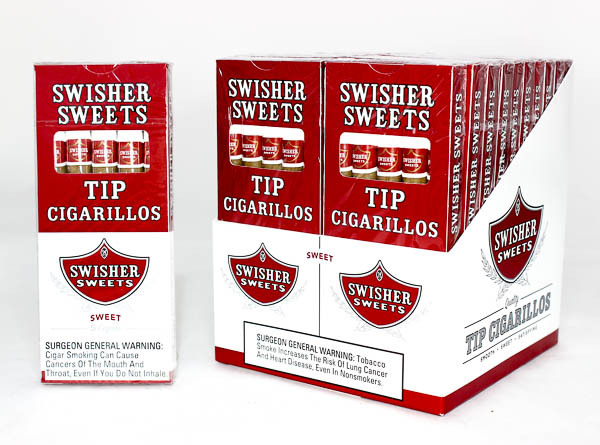 The Cigarillos in question were of the brand Swisher. 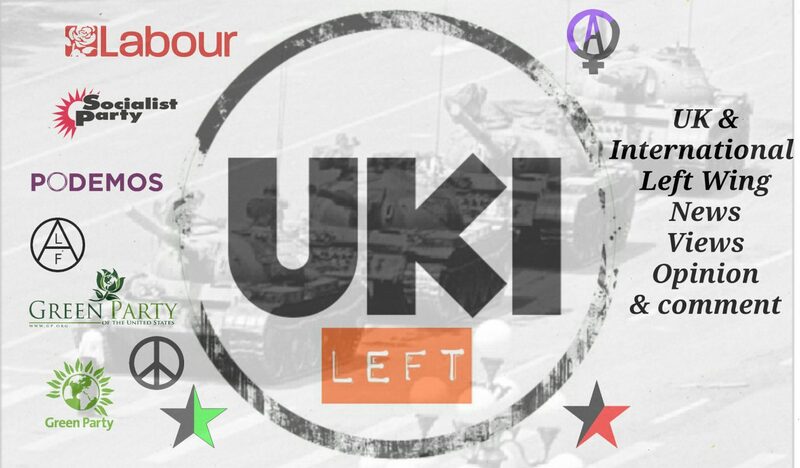 In both of the images above the packs appear to be predominantly a red type of colouring with a white logo on the front with some white writing and white strip towards the bottom of the boxes. The alleged robbery took place somewhere around midday on August 9th 2014. Darren Wilson was later cleared of any wrong doing in his trial amidst mass protests across the country, let alone Ferguson itself. Some witnesses had suggested that Brown had raised his hands just prior to being shot a second time. Other witnesses said he charged at the officer like a “football player with his head down” . The new video related as part of the documentary was unseen by the grand jury or the public. It shows an interaction at the same convenience store between Michael Brown and the shop keeper except it happens 12 hours prior to the armed robbery incident. It happened at around 1am that same morning. Brown can be seen entering the store and seemingly places something on the counter which three members of staff begin to pass around and look at. It’s alleged this is cannabis by the documentary maker although the shop staff deny any transaction took place. After this exchange the staff are seen bagging up what appears to be cigarillos and hand it to Brown who then proceeds to exit the store. However Brown returns to the counter and hands it over to staff. From the footage it appears that staff are holding it for possible safe keeping until a later time to collect. The question ‘Does this change anything?’ is two fold. It must be broken down into two areas. Firstly does it change anything connected to the court case of officer Darren Wilson? Secondly does it change anything around how the entire situation played out? Wether you believe police officer Darren Wilson is guilty or innocent or wether you believe Michael Brown had his hands up or not isn’t the point with regard to this article. Wilson was found innocent and this video wouldn’t likely change that verdict in the slightest. The incident as it unfolded for Darren Wilson remains exactly the same. What it does change or should change is how the police deal with the aftermath of an incident and how that impacts on the rest of society. The police had this new video and had viewed it but decided it did not need to be released to the public or the grand jury. 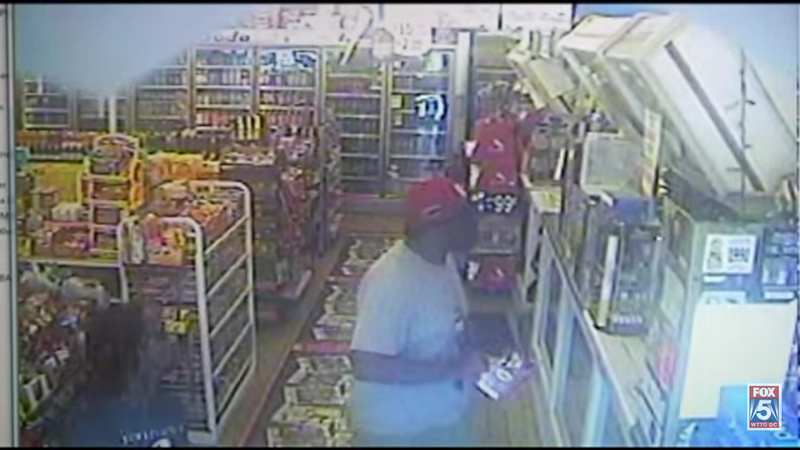 Michael Brown was labelled a thief or indeed a robber who had used strong armed tactics to effect his escape. Whilst there may be some truth in that from a technical stand point in law the new video clearly shows that there is good evidence to suggest that Brown was in fact retrieving the cigarillos he had left behind 12 hours earlier. It would appear that the shop keeper on duty at that time may not have been aware of this and thus thought he was being robbed. A miscommunication then? We will likely never know why Brown allegedly wrestled with the officer but that moment, whatever happened and why led to his death. The biggest tragedy is that an unarmed man was shot dead for stealing some cheap cigars. You expect the police to be professional and protect life at all costs. Was there a need to shoot? Could Wilson have backed off from Brown sufficiently? Did Brown pose a threat to any members of the public? I have to argue it was a needless death therefore it should be considered an unlawful death. Guns, even for US cops should be a last resort. Shot and injured from the first gun shot and likely slower in speed than Wilson there appears little reason why Brown had to be shot to death at that point. The new video however makes little difference to the eventual outcome for Brown and Wilson.